Find hotel near Crafts And Traditions Mus ..
At this museum you are instantly transported back to the time when laces and frills were the more important things of life. The grandeur of balls, the elaborate costumes of men and women and the complimentary headgear. The museum showcases over 600 head dresses along with authentic costumes from the province of Anjou. The delicate work created on each with the humble needle and thread is absolutely stunning and admirable! Carry valid IDs to avail concession. How popular is Crafts And Traditions Museum? 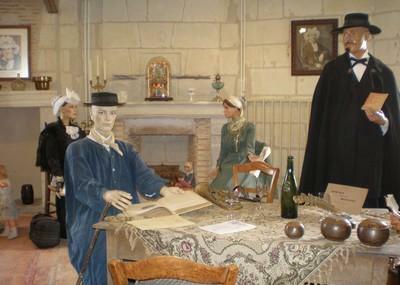 People normally club together Chateau D' Angers and Anciencouvent De La Baumette while planning their visit to Crafts And Traditions Museum.